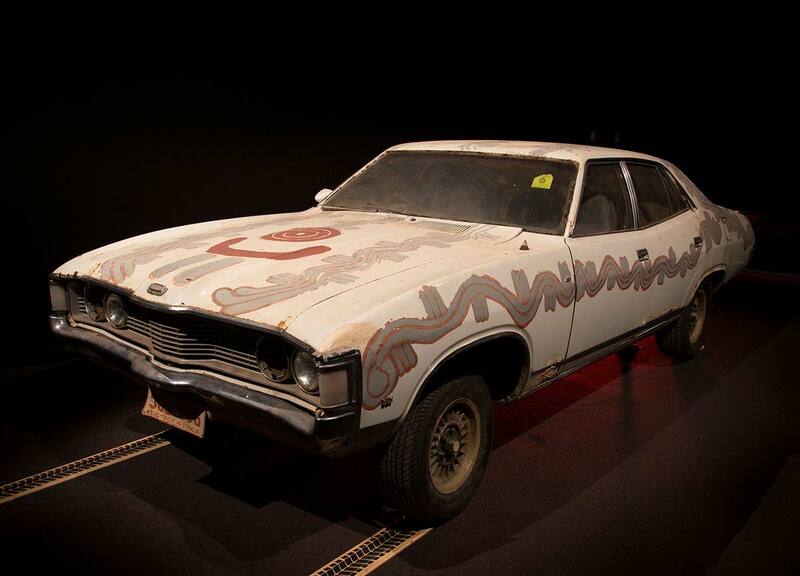 Bush Mechanics: The Exhibition explored the importance of the car in the outback and provides insights into the life and culture of the Warlpiri people of Central Australia. The exhibition captured the energetic and upbeat tone of the popular ABC television series created by David Batty and Francis Jupurrurla Kelly. 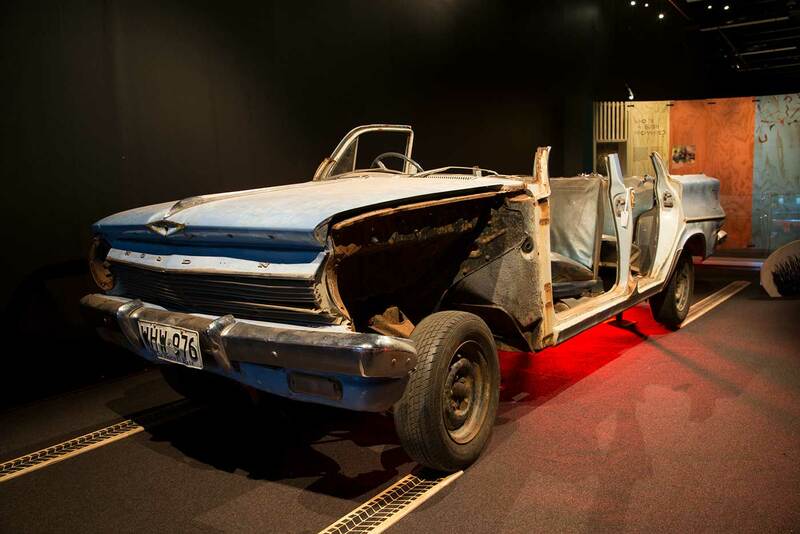 It included the two cars fondly remembered by fans — the blue Holden EJ Special Station Sedan from the first episode, and the spectacular painted Ford ZF Fairlane from the finale. Visitors could see original footage from the series and try their hand at some of the ingenious and resourceful nyurulypa, or tricks, on the exhibition’s ‘bush driving simulator’. Bolex camera with which David Batty shot the series. Tin turuki, a toy truck made using a discarded milk tin and fencing wire. Coolamon, a vessel for carrying grain or water, made from a Volkswagen hubcap. Slingshot made using a tyre tube. Mulga wood, spinifex and sand bush mechanic’s tool kit. 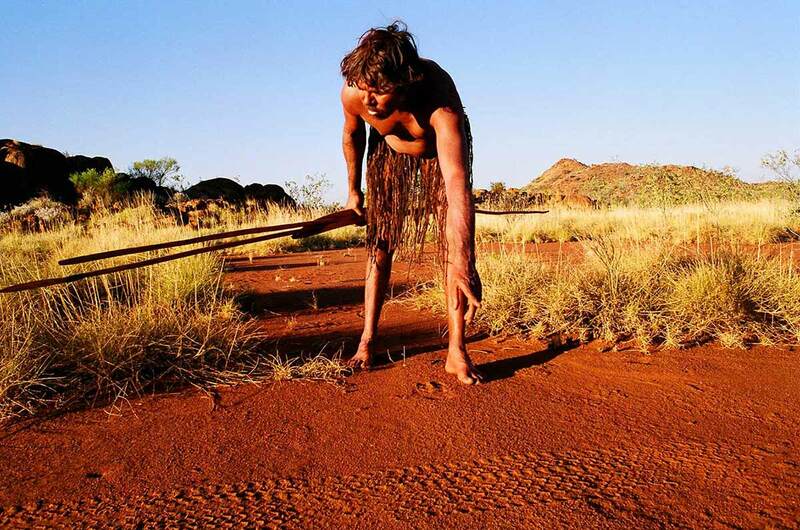 Bush Mechanics: The Exhibition was developed by the National Motor Museum, a museum of the History Trust of South Australia, in conjunction with Pintubi Anmatjere Warlpiri (PAW) Media. This project has been assisted by the Australian Government’s Visions of Australia program.